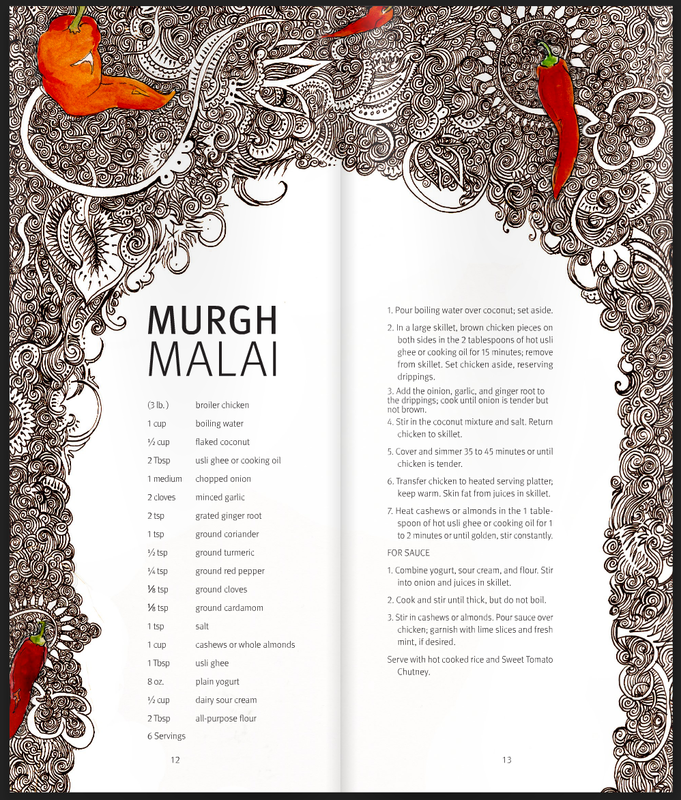 This is an Indian cookbook that I developed content and imagery for. 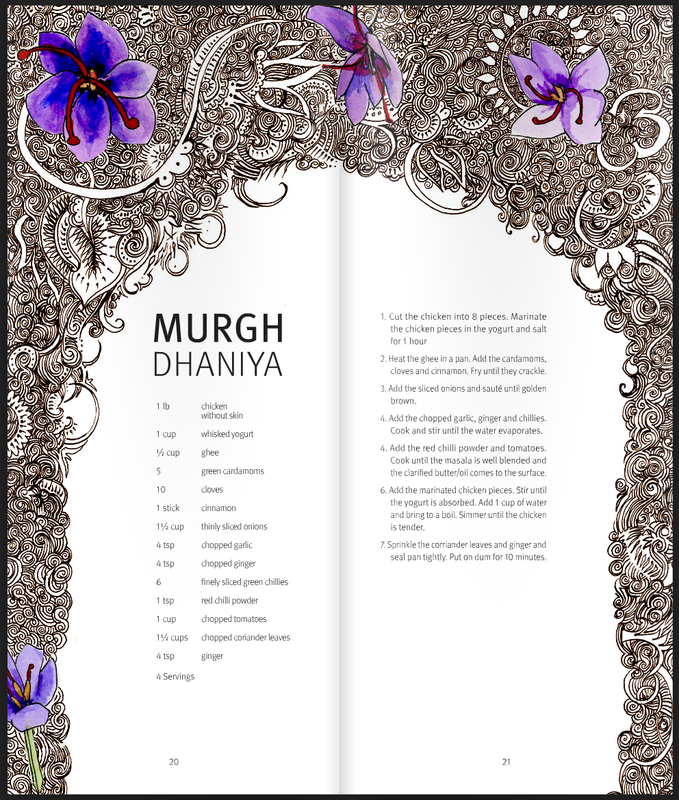 Instead of photographed food, Indian styled designs paired with water colored illustrations of an ingredient from each recipe is featured. 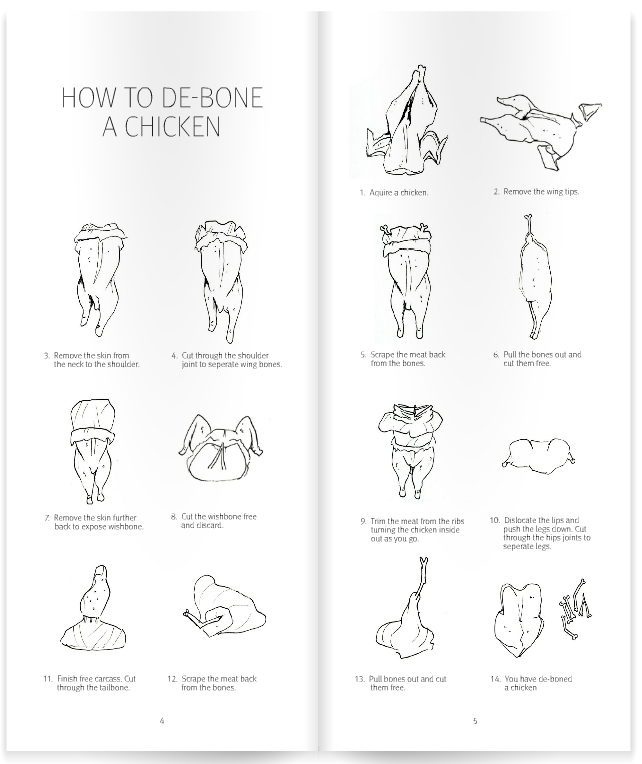 An info graph on how to de-bone a chicken using illustrations is also included.